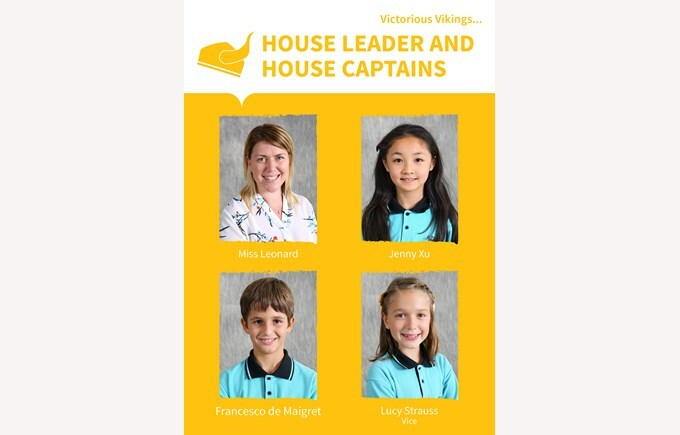 Vikings (Yellow): Miss Leonard, Jenny Xu, Francesco de Maigret, Lucy Strauss (vice). 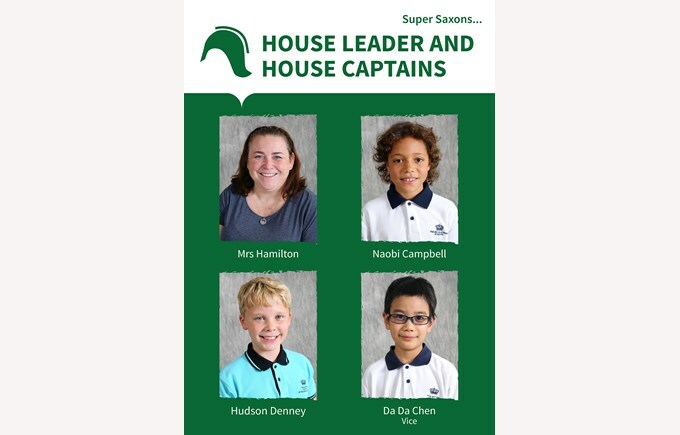 Saxons (Green): Mrs Hamilton, Naobi Campbell, Hudson Denney, Da Da Chen (vice). 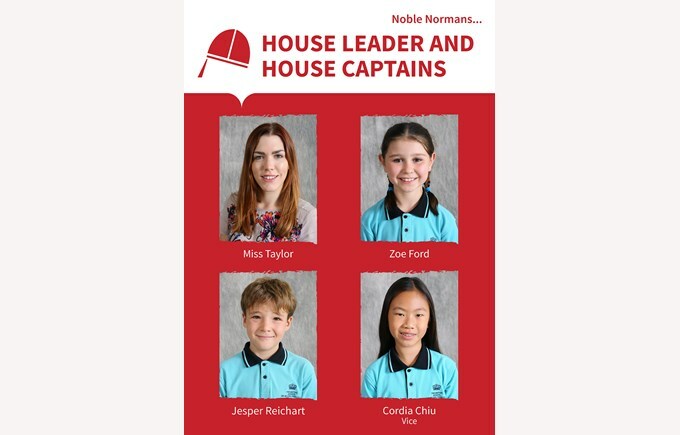 Normans (Red): Miss Taylor, Zoe Ford, Jesper Reichart, Cordia Chiu (vice). 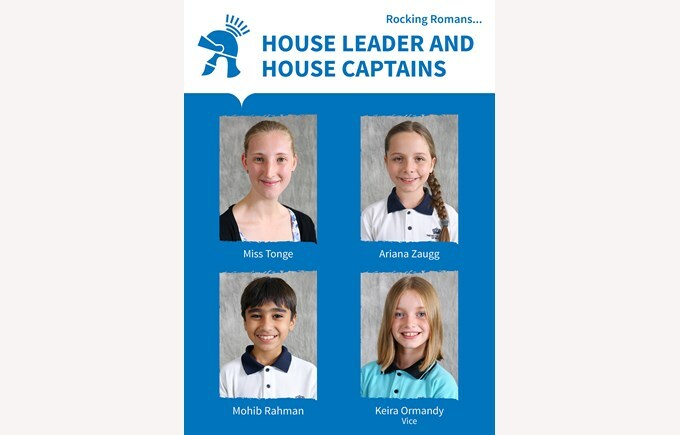 Romans (Blue): Miss Tonge, Ariana Zaugg, Mohib Rahman, Keira Ormandy (vice). Sports Captains: Kaila Yilmaz, Ryan Looi, Sima Tebbutt (vice), Taylor Lam (vice). • Children can earn house points for their house through good academic work. 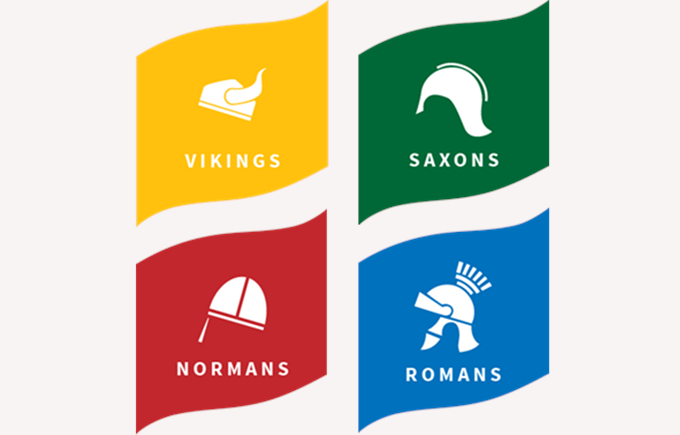 House points can be awarded by class teachers and specialist teachers for great work in class or with homework. Each week all of the individual house points are collated and the leading house announced - usually with great excitement - to the whole school in assembly. • Throughout the school year a number of internal competitions take place between the houses such as Sports events, Swimming galas, Music quiz and so on. We have high expectations of our pupils in their work and for behaviour and it is important that we reward good work and behaviour and consistently apply school rules. 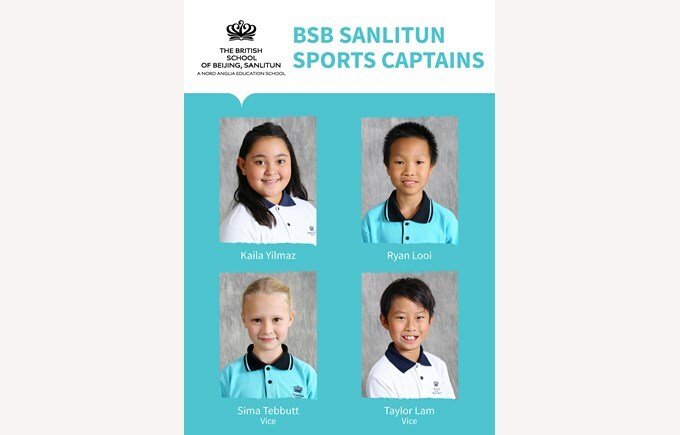 Congratulations to the new BSB Sanlitun Sports Captains and Vice Captains!